Today, TennesseeCAN released the 2017 Tennessee Policy Report Card, which analyzes 25 education policies that are critical levers for Tennessee to boost student success and develop high quality educators. 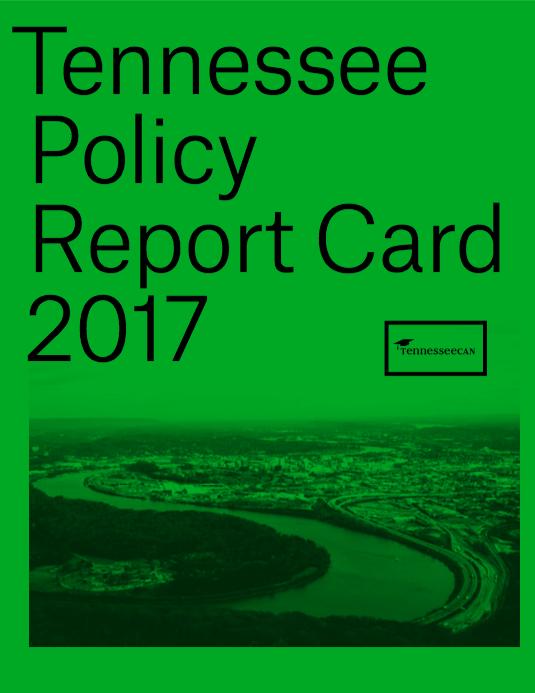 Serving as a barometer on state policy efforts that have contributed to the environment of academic success in Tennessee, this report outlines and reflects on the work legislators and state agencies have done to support the instruction of teachers and school leaders. Further, in 2018, Tennesseans will select a new governor, and TennesseeCAN believes it is crucial for continued progress that he or she maintains a strong commitment to education reform as key for Tennessee’s future prosperity.